The hill is adjoined to the Cadair Idris range of hills which are situated in the south-western part of North Wales (Region A, Sub-Region A3), and it overlooks the stream valley of the Gwynant to its south-west and the A 493 road to its north and has the town of Dolgellau towards its east. The hill appeared in the 300m P30 list on Geoff Crowder’s v-g.me website under the name of Dolgledr. 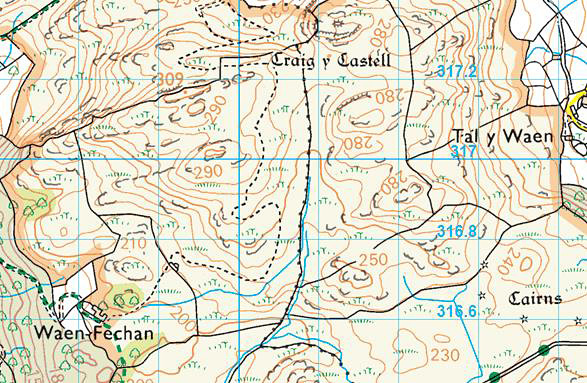 During my early hill listing I paid little regard to name placement on a map, or the meaning of names and to what feature the name was appropriately applied to and used many names that seemingly applied to a hill and whose placement was nearest the summit of the hill on Ordnance Survey maps of the day. Therefore I prioritised names for listing purposes that I now understand are inappropriate, and as the name of Dolgledr applies to a township associated with Dolgellau it is not appropriate for the name of this hill, and it was a local farmer who has lived the whole of his life close to this hill that gave the name of Ffridd y Waun for the land where the summit of the hill is situated. 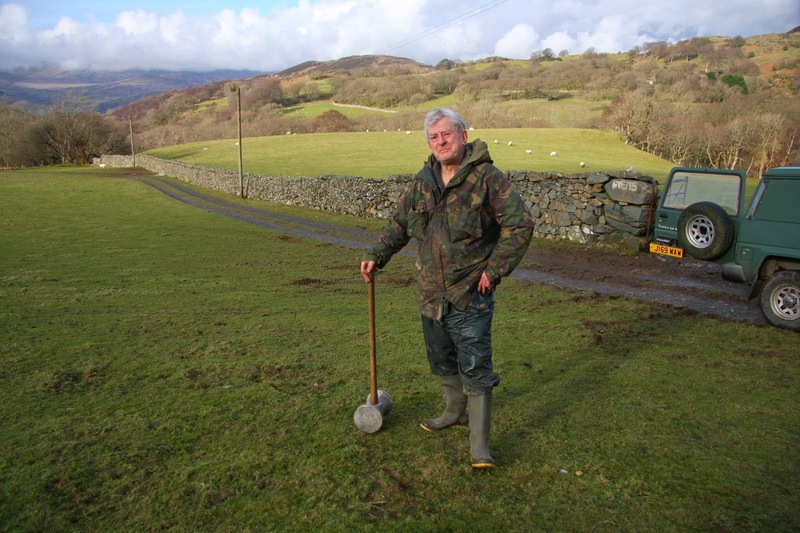 The local farmer is Emyr Rees who is aged 70 and is a Welsh speaker and has lived all of his life at Tynyceunant (SH 688 152), this farm is situated to the south of the hill. When we met at the start of the access track leading to his farm Emyr was in the process of fixing a post with a large mallet, after introducing myself and explaining my interest in upland place-names, I pointed to the hill to our north and asked Emyr its name, he explained that it is a part of Waen Fechan (SH 686 166) land and known as Ffridd y Waun (the spelling of the word Waun follows standard modern Welsh). 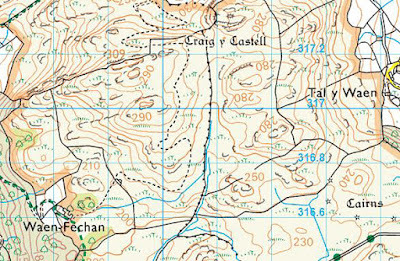 Emyr also gave me a number of other names for near hills or the bounded land where the summit of each was situated, these have been detailed in previous Significant Name Changes posts. As the summit of this hill comprises bounded land the details for it were examined on the Tithe map. The term Tithe map is generally given to a map of a Welsh or English parish or township and which was prepared after the 1836 Tithe Commutation Act. This act allowed tithes to be paid in cash rather than goods. 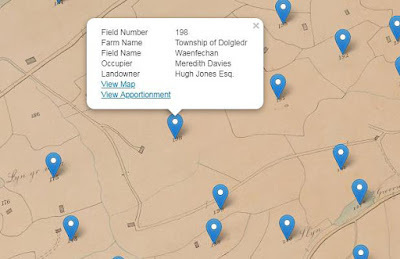 The Tithe maps gave names of owners and occupiers of land in each parish and importantly for place-name research they also included the name of enclosed land. This enclosed land is usually based on a field system, however not every field is given a name, but many are and especially so in Wales. The enclosed land where the summit of this hill is situated is given the number 198 on the Tithe map, this can be cross referenced against the apportionments; it is these apportionments that give the name of the owner or occupier of the land as well as the name of the land. The land where the summit of this hill is situated is named as Waenfechan, with the details on the Tithe map appearing in the county named as Merioneth and in the parish of Dolgelley [sic]. 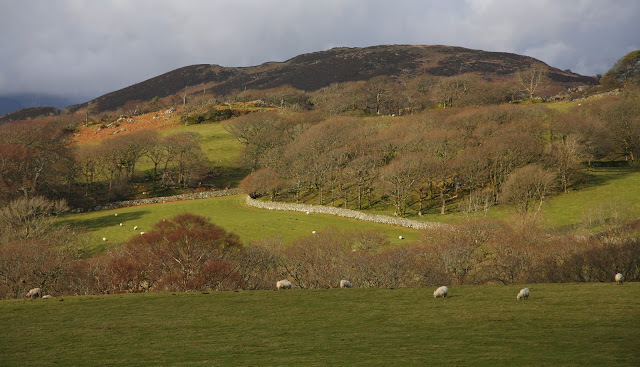 Therefore, the name this hill is now listed by in the Y Trichant is Ffridd y Waun, and this was derived from local enquiry, with the bounded land where the summit of the hill is situated confirmed by the Tithe map.